There are many creatures on this planet that are widely known to be poisonous or venomous including numerous species of spiders, snakes and scorpions. The average person is probably familiar with deadly creatures such as the black widow spider, rattle snake and the box jellyfish but what about lesser known animals that are poisonous such as the slow loris? do you even know what a slow loris is? here are 10 animals that you probably never knew were poisonous. OK, so a handful of people have probably heard of the Komodo Dragon and the method in which it kills its prey but did you know it is actually venomous too? 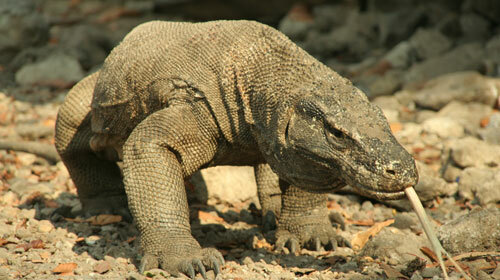 The Komodo Dragon is an extremely patient killer, all it takes is one bite from this massive lizard to slowly and painfully kill you. It was previously believed that the Komodo Dragon used its extremely toxic saliva (which contains over 50 types of bacteria) to slowly but surely disable its prey. Recent discoveries however have found that the Komodo Dragon does actually have venom glands in its mouth which had previously escaped discovery. 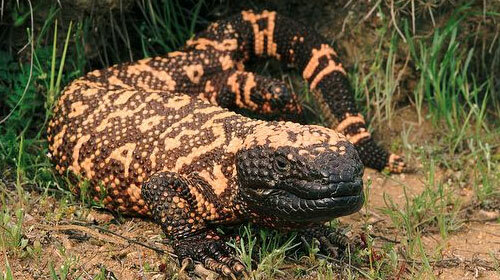 The Gila Monster is fairly common in the southwest USA and some parts of Mexico and although the Gila Monsters venom rarely results in a human fatality it is worth mentioning if not just because of its unique way of administering its toxic venom. The Gila Monster channels its venom through grooves in its teeth straight into its prey, so rather than having a venomous bite straight off the Gila Monster’s venom works overtime on prey that has already been caught subduing it and making it easier to finish off. If the Duck-Billed Platypus isn’t strange enough with it being a mammal that lays eggs, nature decided to throw poisonous spurs into the mix! Thats right, poisonous spurs. Upon reflection most animals don’t even have ‘spurs’ let alone poisonous ones however the male Duck-Billed Platypus has just that on each of his hind legs. The poisonous spurs are much more potent during the mating season which has led experts to believe that these spurs are used when competing for females and although the poison is not considered deadly to humans – would you really want to take that chance? The first underwater entry into this list is the Cuttlefish which is very closely related to the squid and octopus families. As you can see on the picture above the front of the Cuttlefish is comprised of ten tentacles similar to those of a squid or octopus but this is not where the Cuttlefish’s secret lies. In the center of those ten tentacles at the base of the head is the Cuttlefish’s beak, this beak has the ability to inject venom at lighting speeds in turn crippling its preys nervous system. 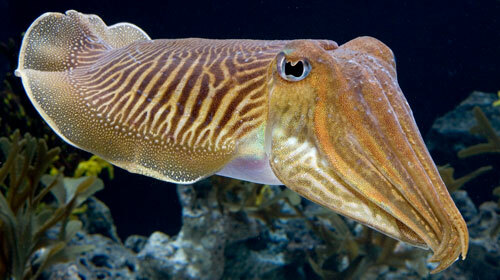 Fortunately the Cuttlefish’s venom is harmless to humans. There are hundreds and hundreds of different Coral varieties in the world and would you believe it that some are venomous? better watch your step next time you take a dip in the sea. The most venomous Coral is the Palythoa which can kill a human if it gets the opportunity to inject enough of its toxins into him or her. 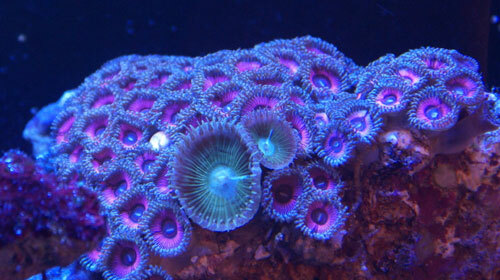 Not much study has gone into toxic Coral however it is known that symptoms of Palythoa toxins include loss of breath, chest pans and racing pulse. 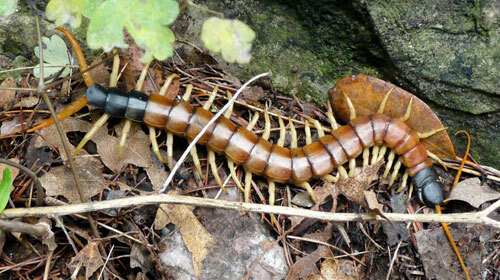 You may be familiar with the millipede as they are extremely common in garden environments such as parks and even your own garden but some Millipedes are more dangerous than others. Some Millipedes can excrete toxins and cyanide through pores in their body which can be dangerous to smaller insects such as ants however to bigger predators its not so much a threat rather than an irritant. Centipedes, like Millipedes are very common and most people will likely have encountered both insects in their lives but just like Millipedes some Centipedes can be dangerous and its worth knowing which is which. Although most Centipedes are harmless they do have claws at their front end just next to their antennas which contain venom. Usually the venom from a Centipede is nothing to worry about however in some of the larger Centipede species particularly the ones dubbed ‘giant’ the venom can be extremely dangerous to small animals and young children and can even be fatal if left without treatment. Before you go worrying about every snail in your garden being poisonous its worth noting that the Cone Snail is a species that lives underwater and therefore is almost certainly not in your garden. 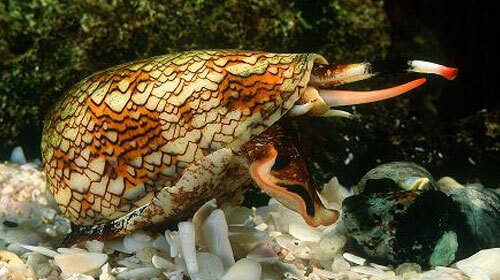 The Cone Snail has a unique proboscis with a harpoon like attachment on the end which is used to spear its prey (usually small fish). The poison administered from the Cone Snail is strong enough to instantly paralyze small fish and from injecting the poison the Cone Snail will then proceed to reel in its prey. Another reason to watch your footing next time you take a dip in the sea as Cone Snails have reportedly been responsible for a number of human deaths. Who in their right mind looks up into a tree, spots a bird and thinks ‘oh i bet that birds poisonous’, no one ever thinks that! 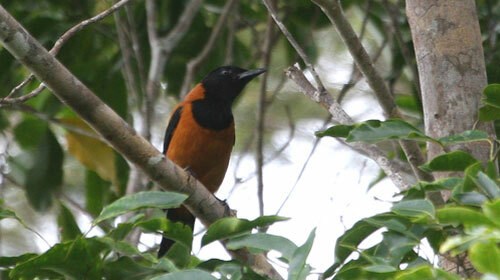 And that is where this devil of a bird tricks you as the Hooded Pitohui is indeed poisonous. This bird is found in New Guinea and its feathers and skin contain the same toxins found in the incredibly toxic dart frog although not quite as strong. Just touching this bird is enough to pass on the dangerous toxins however for the toxins to be of any real threat you would literally need to eat the whole bird, feathers included. If there is anything more ludicrous than a poisonous bird, surely it has to be a poisonous primate, right? 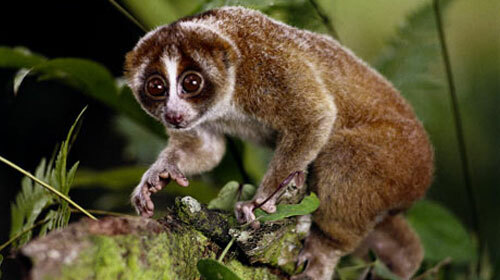 As ludicrous as it may sound there is one, the Slow Loris. This mammal is actually both poisonous and venomous at the same time and both stem from the same toxin. The Slow Loris secretes a toxin from glands on the inside of its elbows which it uses as a defense mechanism against predators by smearing the toxin over its young. The Slender Loris also uses the toxin as venom by licking the glands and storing the toxin in its mouth to provide a vicious bite. Scared to ever leave the comfort of your own home again? I don’t blame you, its always going to be safer staying inside when there’s nasty critters such as snakes and scorpions roaming around outside not to mention all the poisonous and venomous creatures you didn’t know about until reading this. Just watch out for the spider in your slippers and the snake in your toilet. 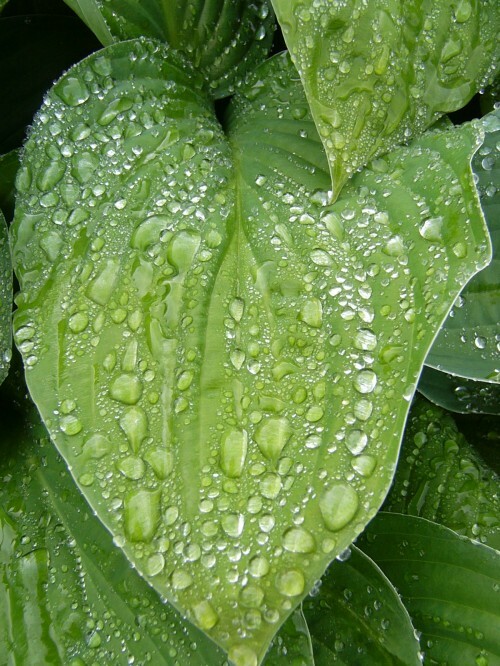 i love nature….the animals n plants….every thing about them…….their environment……their features….. i like the animals which look diferent but have diferent characteristics…. wow! 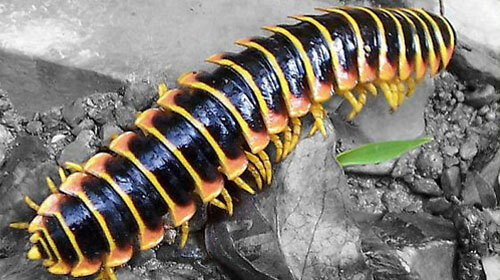 I so didn’t know that centipedes were poisonous! That’s soooooooo cool! How do u not know that? I knew all of these things were poisonous. Sure, How old are you? And please DO tell the truth! The word is “only” Male Platypus and yes it has a spur in either back legs. The Platypus is that RARE and “SHY” that in the wild, because it lives in the “back waters” of the cooler parts of Australia (which also is rare) and has many burrows to it’s nest under water – and tends to come out only at night (nocturnal), most Australians have never seen one. 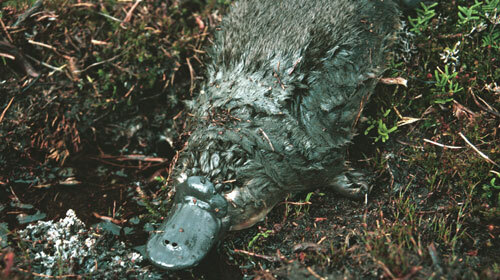 Most Zoos in Australia don’t even have Platypus, given how rare they are to be seen in the wild, hence to catch, then set up an appropriate display under water with the appropriate burrows and to “house them” properly – given they are nocturnal and constantly on the move very fast underwater to catch their meal. Once disturbed, they go back to their many connecting burrows to their nest, hence hard to find. They also breathe out of water, therefore their nest is made in a way that there nest has “air pockets”. Wow,some are scary and some oftem I didn’t know? Wow, I have never thought that a bird might be poisinous! Im very sure that theres more animals to be discovered. Im waiting till the day were they discover an animal with wings and fur with no feathers and a long tail, no beak but a mouth with teeth, and no, I am NOT talking about a flying monkey… ._.